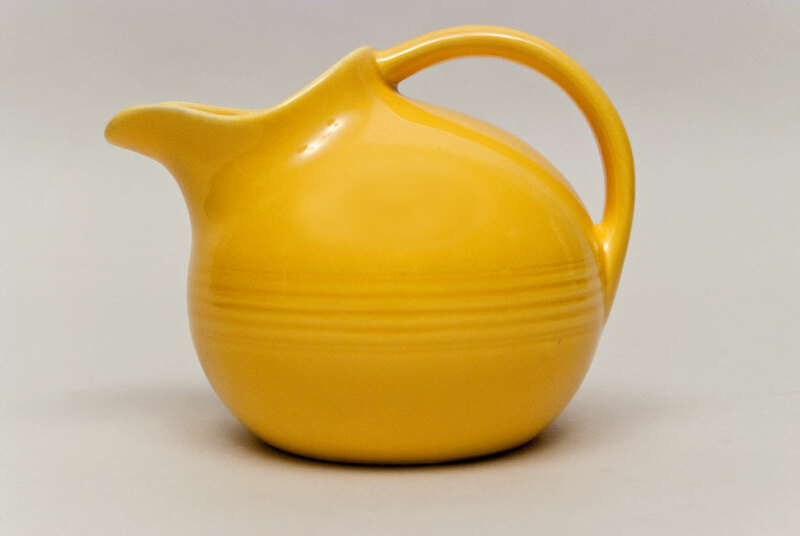 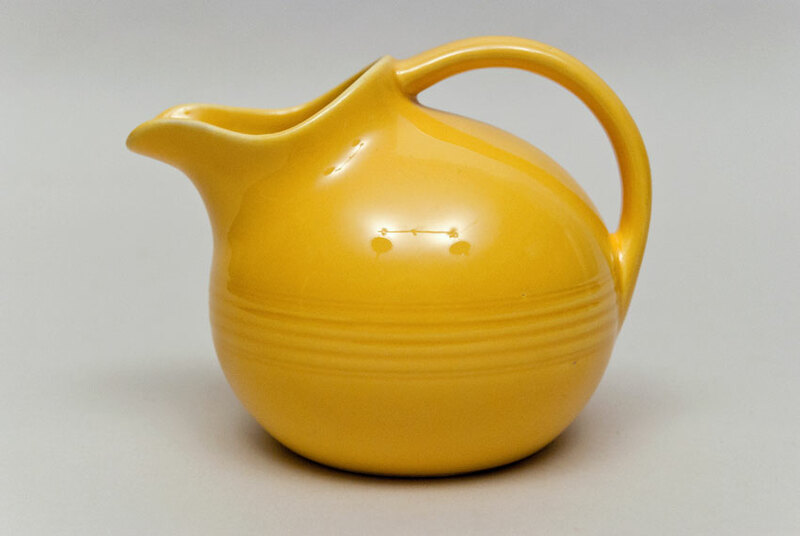 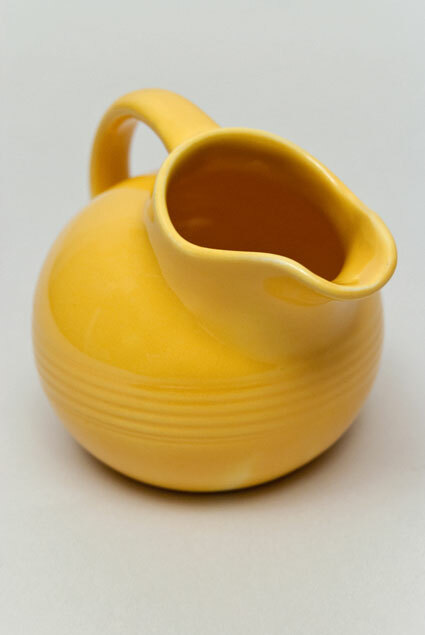 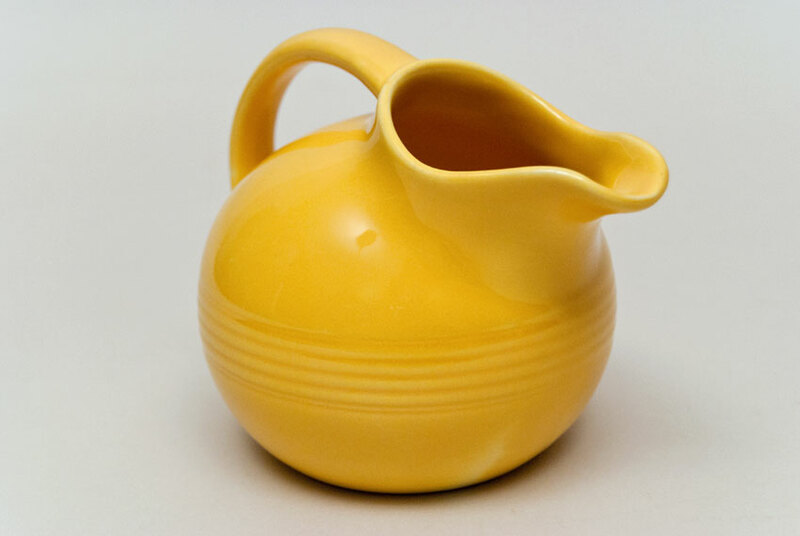 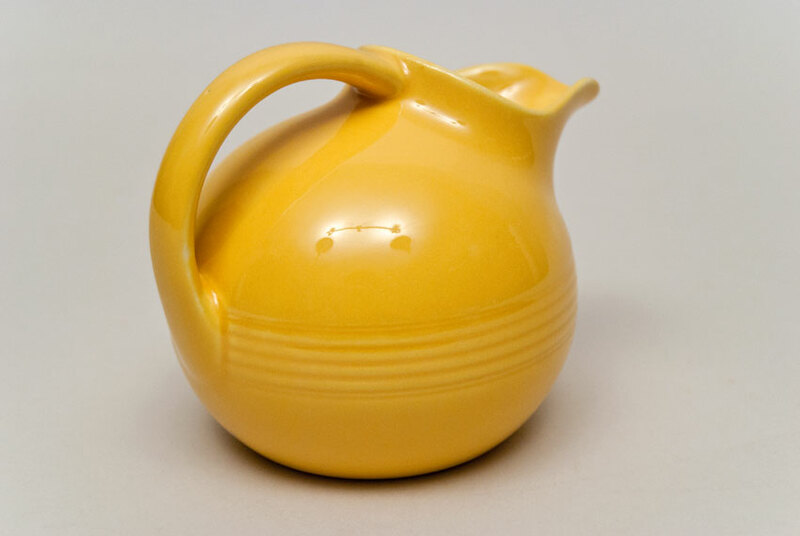 Circa 1938-1959: The Harlequin novelty creamer is basically a miniature version of the Harlequin ball jug, just with the band of concentric rings moved up from the base to the belly instead. One of the few pieces Homer Laughlin produced that could be considered a miniature. 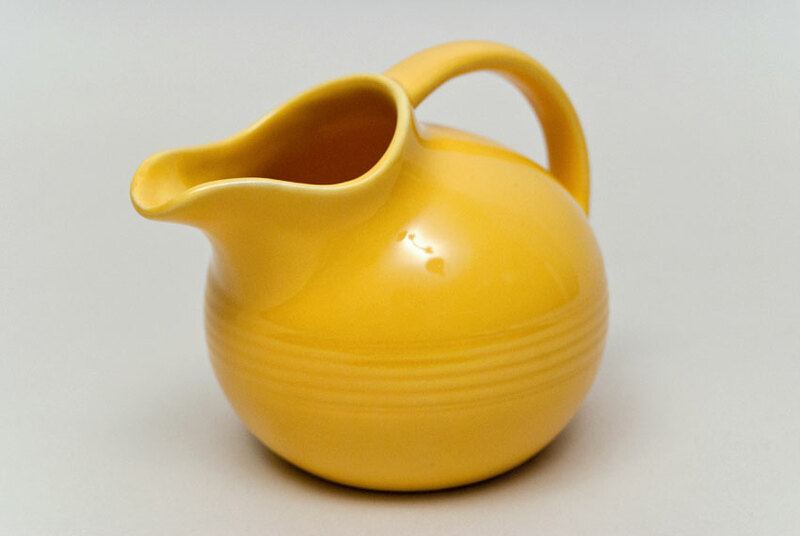 The novelty creamer is found in all twelve Harlequin colors. 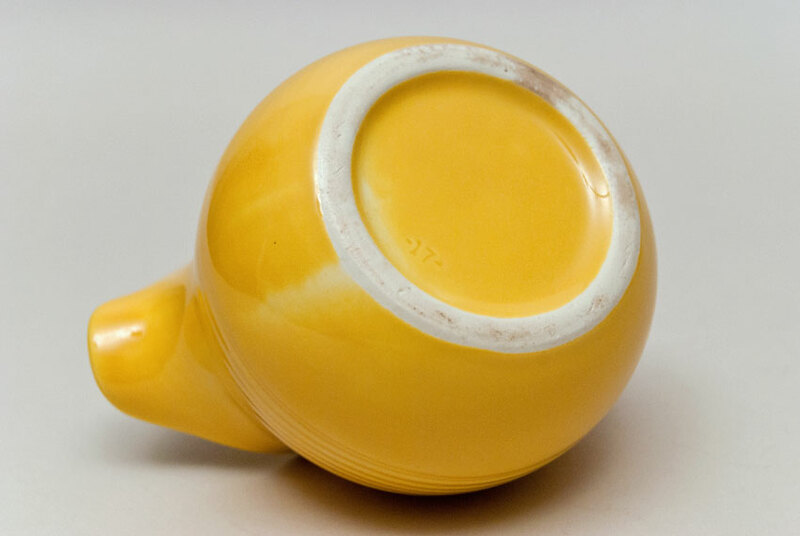 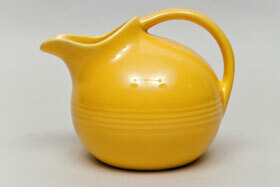 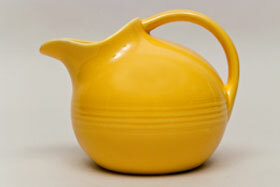 This example in original harlequin yellow is in excellent condition with no damage. 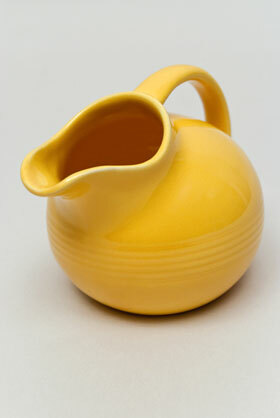 Novelty creamers are perfect as cream servers and a delight to the festive table. 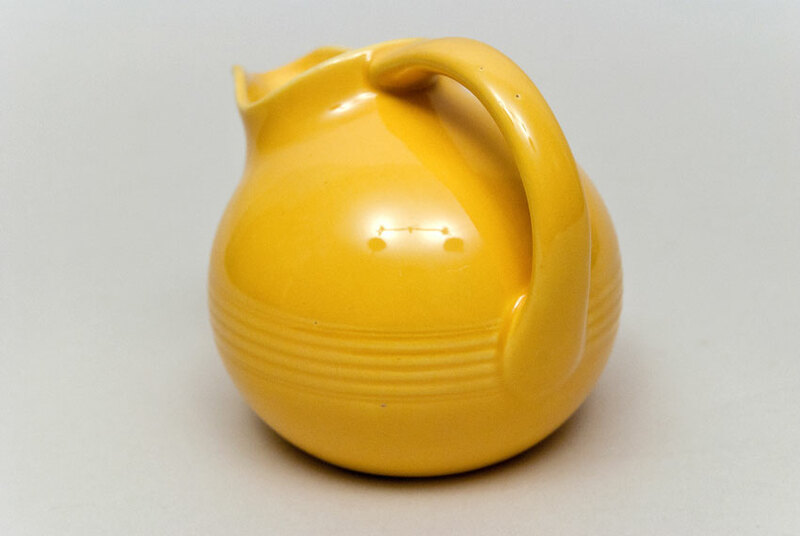 Measures nearly 5" tall, x 5" wide.